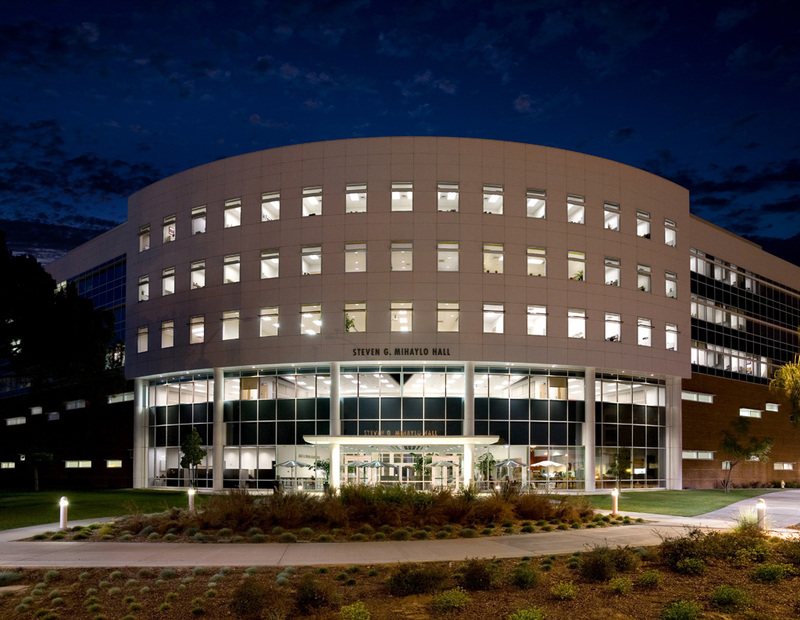 NV5 provided redevelopment and design of 8.3 acres on the California State University (CSU) Fullerton campus to construct the College of Business and Economics complex, which includes three buildings and significant removals and reconstruction of the surrounding area. Services were provided for the schematic design, design development, construction documents, and construction administration phases of the project. On-site work included preparation of demolition plans, detailed site grading, parking lot layouts and grading, and hardscape detailing and elevations. Also included were designs of domestic water mains, looping fire main system, reconfiguration of wet utilities, and relocation/reconfiguration of several storm drains — all in conjunction with maintaining alignments of significant portions of existing underground dry utilities. Off-site design services were also provided to accommodate widening of 1,250 feet of Nutwood Avenue, Highway 57 off-ramp improvements, and realignment of 400 feet of East Campus Drive on-site, including intersection design with Nutwood Avenue. Plan approval agencies included California State University, Office of the State Architect, City of Fullerton, and Caltrans.